A wedding ceremony of 30 minutes takes much preparation on the part of the preacher. He popped the question and you said, "Yes!" Now comes the fun part -- wading through all the wedding details, including who will pronounce you husband and wife. 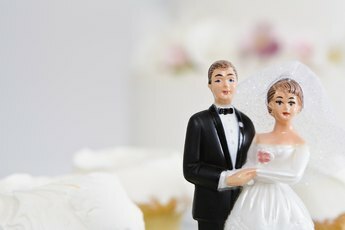 If you're looking for a new faith family to join or a spiritual place to celebrate the beginning of your new life together, you might want to forgo a civil wedding service in favor of a church wedding ceremony. When the question of how much to pay the preacher for performing the wedding arises, it really depends on the officiant, his affiliation as well as other factors. The usual and customary charge for a preacher to perform a wedding can range from $200 to $800. You can find the fee for a preacher's services by contacting the church office, by visiting the church's website, or contacting the officiant personally. The preacher's fee is separate and apart from the facility's fee, organist's fee and wedding coordinator's fee. A preacher's fee can vary, depending on the time and effort involved in the pre-wedding and wedding day events. For example, a preacher may require that you and your intended receive pre-marital counseling sessions. It can take as many as three to six weeks of sessions to not only plan your special day, but to discuss the important issues of your new life together and the resources available for a happy and successful marriage. The preacher may assist in developing the wedding ceremony, attend the rehearsal and carry the full responsibility for the wedding service from start to finish. This preparation generally takes place in the evening or on a Saturday, as the preacher has a church to run and a heavy commitment to congregants during the week. An experienced preacher has likely married many couples over her career and probably knows the traditional wedding vows by heart. But that doesn't mean that she simply shows up and performs the ceremony on autopilot. There are personal touches to add to the service, and customization to make your day special. An officiant will take time to compose a sermon or service specifically for you, if requested. Considering that she also has a weekly church service to prepare and preach, the extra time she spends on your ceremony can certainly add to her workload. The cost of living plays a role in the pricing structure of any service or business. If you live in New York City or Southern California, for instance, the preacher's fee may be higher than it is, say, in Iowa or North Dakota. 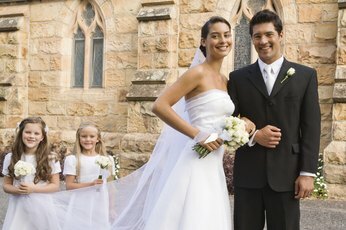 As of June 2012, couples getting married at a Roman Catholic service in Georgetown University can expect to pay a stipend of $500. A couple who marries in the Episcopal faith in Plymouth, Michigan, can expect to pay between $200 and $300. 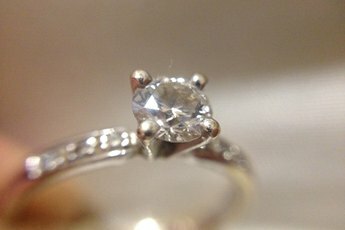 The minister honorarium for wedding services at a nondenominational church in Boulder, Colorado, is $300. A couple getting married in the Lutheran faith in Des Moines, Iowa, are asked to give what they feel is appropriate. In Brunswick, Maine, a preacher in the Methodist faith can expect to receive an honorarium of $200. There is no set fee for a preacher's services in the Westwood, California, Presbyterian church near Los Angeles; however, it is customary to gift him with an honorarium starting at $300. The New York Society for Ethical Culture performs ceremonies for couples without religious affiliations with officiant fees starting at $600 plus the cost of an application. Keep in mind that the preacher must factor in gasoline costs to get to the counseling sessions and rehearsal. He may also drive to pick up your marriage license. If you are a member of the preacher's congregation, and you or your family has been attending the church for years, the preacher may waive his fee. This doesn't mean he has any less work to do to prepare for the service, so you might want to gift him with an offering. How Much Should be Paid for a Wedding Planner?